I like the phrase ‘oak-rested’. It seems more civilised than oak-aged, and indicates that this small batch distillation Burrough’s gin spent weeks rather than years in oak barrels. The barriques concerned were from Bordeaux, and spent some time ageing the vermouth Lillet after Bordeaux wine. 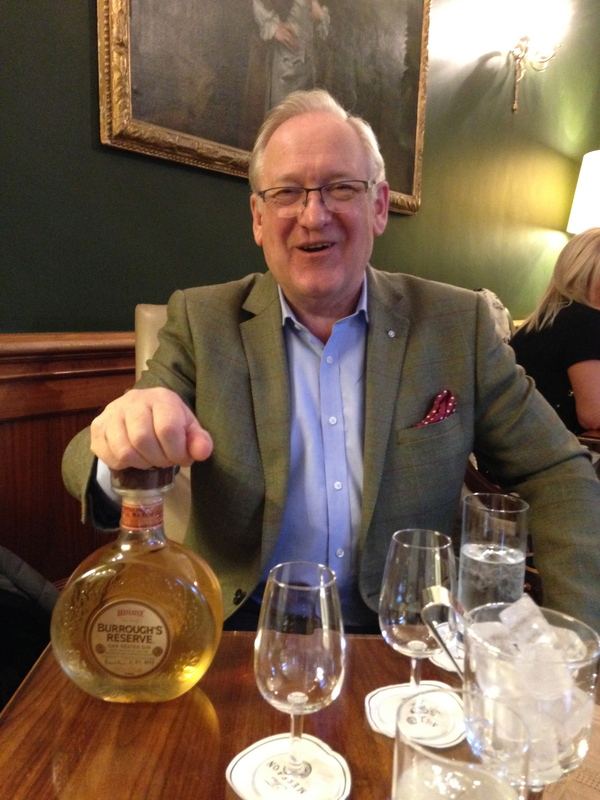 Last Friday afternoon, I met up with master distiller Desmond Payne to try out the gin. It is a sipping gin according to Desmond, to be drunk without tonic water or any other mixer. I shared a few sips with Payne (a master distiller who has been making gin for almost fifty years) in the bar of the Merrion Hotel. A very enjoyable way to spend Friday afternoon. He had always been opposed to ageing gin in casks. ‘Gin is fresh and clean and new’ he said. But then he tried a barrel-aged Negroni in Portland, Oregon and saw possibilities. ‘Its what you age it in that counts’ says Desmond, ‘logic would seem to indicate used bourbon casks, but they impart a strong flavour’. Instead he headed to Bordeaux and to Lillet, who age their reserve vermouth in used Bordeaux barriques. He used second or third fill casks, and aged the gin for four to five weeks. They used an historic small still in Chelsea, which ‘had been gathering dust there’, according to Desmond. He sees it as a digestif to be sipped after dinner or with desserts or even cheese. He has been working with former Blur member, journalist and cheesemaker Alex James to find matches. This is the second edition of Burrough’s Reserve. Edition 2 Batch 01 has strong notes of juniper (‘it is a gin, it must have juniper’ says Desmond) orange peel, lemon, and subtle sweet vanilla oak that comes though on the finish. It lingers for hours; I can still taste it twenty minutes later. Limited quantities will sell for around €60, although most will go to upmarket bars.